Slim Down Your Memorial Day Weekend BBQ! Memorial Day Weekend kicks off the unofficial start of summer, although the food offered at many barbecues isn’t exactly light summer fare. My blue cheese burger with caramelized onions and baked sweet potato fries will give you that summertime barbecue feeling (and fullness) – without all of the calories and fat! 1. Warm up a grill, griddle or a pan (I like these best on the grill). 2. Combine egg, ground beef and a small handful of blue cheese crumbles (should be about 1/4 of the blue cheese). Form four patties with your hands and set aside. 3. Warm oil in pan over medium heat. Add onions and sauté until browned, stirring occasionally. 4. Place burger patties on grill and cook until cooked through (about 4-5 minutes on each side for medium doneness, although grill time may vary). 5. Add rolls to grill for 1 minute. 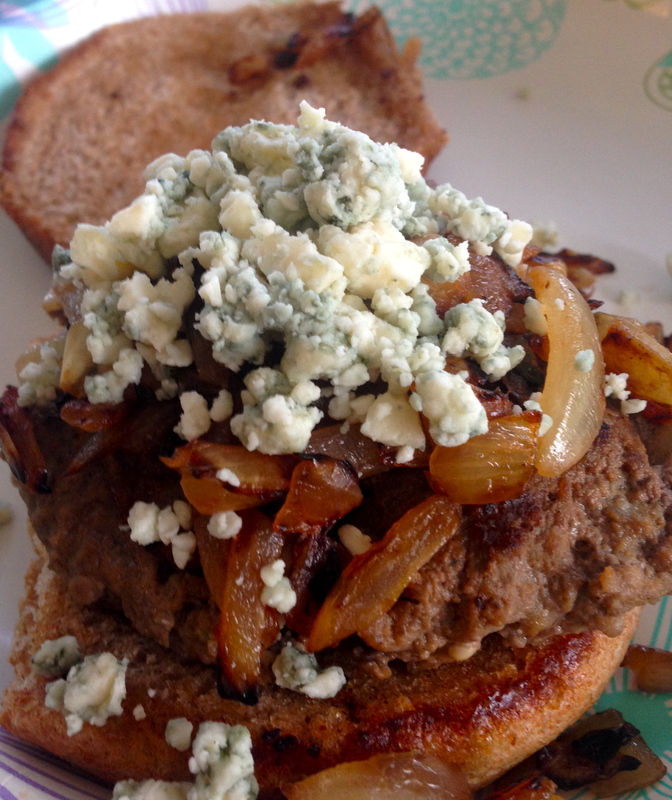 Remove rolls and place one patty on each roll, along with blue cheese and onions. Enjoy! 2. Spray casserole dish with nonstick vegetable oil cooking spray. 4. Transfer fries to casserole dish, toss with oil and spices and bake in oven for about 50 minutes, stirring occasionally. 5. 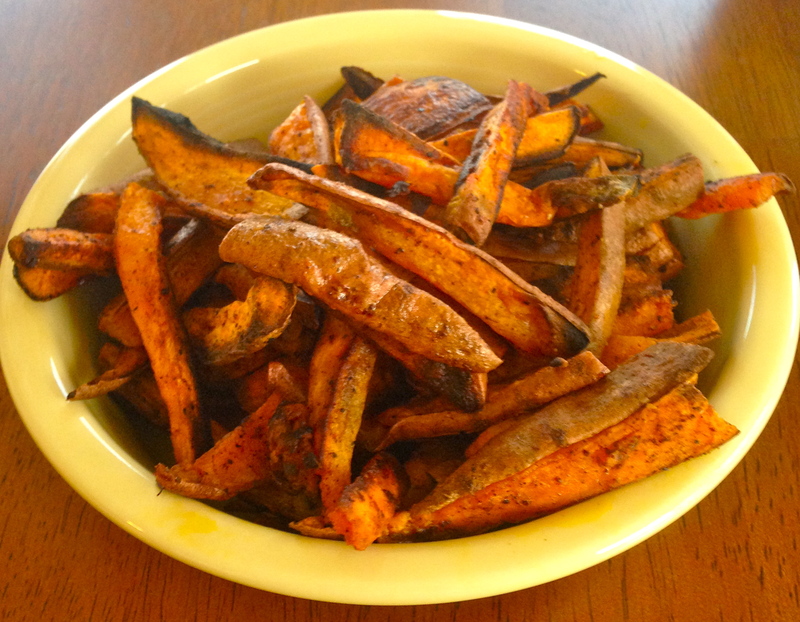 Once fries are softened, broil for about 2-3 minutes, until browned. Serve and enjoy! This easy breakfast is filling, delicious and offers protein, healthy monounsaturated fat and fiber, along with vitamins and minerals such as vitamin K, folate and potassium. I know the morning can be rough, but this breakfast takes about 10 minutes to make and will keep you full for hours, without compromising your calories. 1. Spray small pan with nonstick vegetable oil cooking spray. Warm over medium heat. 3. Place bread in toaster and warm until toasted and golden brown (about 5 minutes). 4. Crack eggs into pan (or into bowl first, if you prefer, and transfer into pan), add salt and pepper and cover. 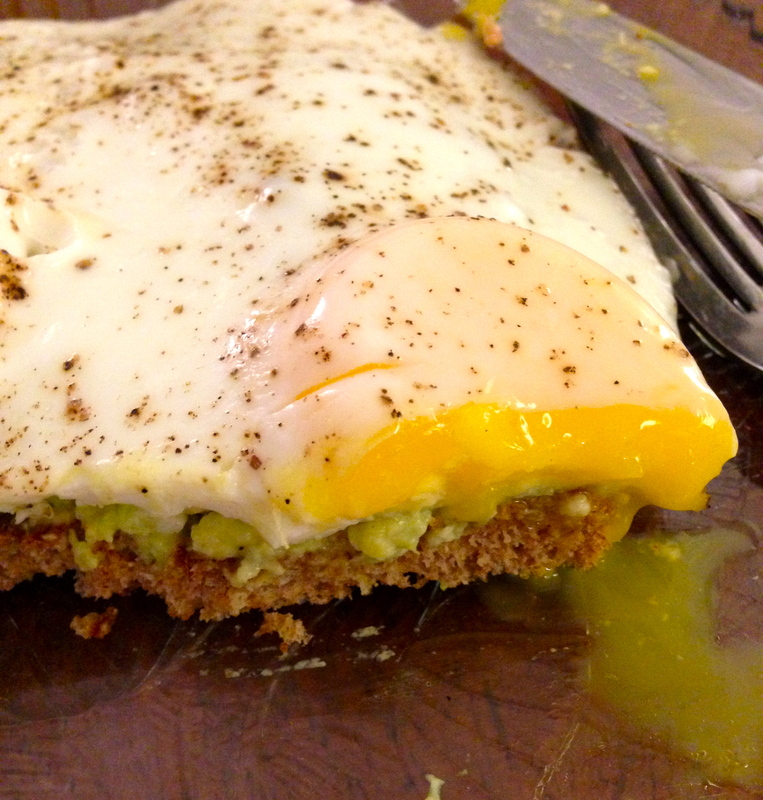 Cook until white is solid but yolk is still somewhat liquid (about 5 minutes). There should be a fine white film over the yolk. 5. 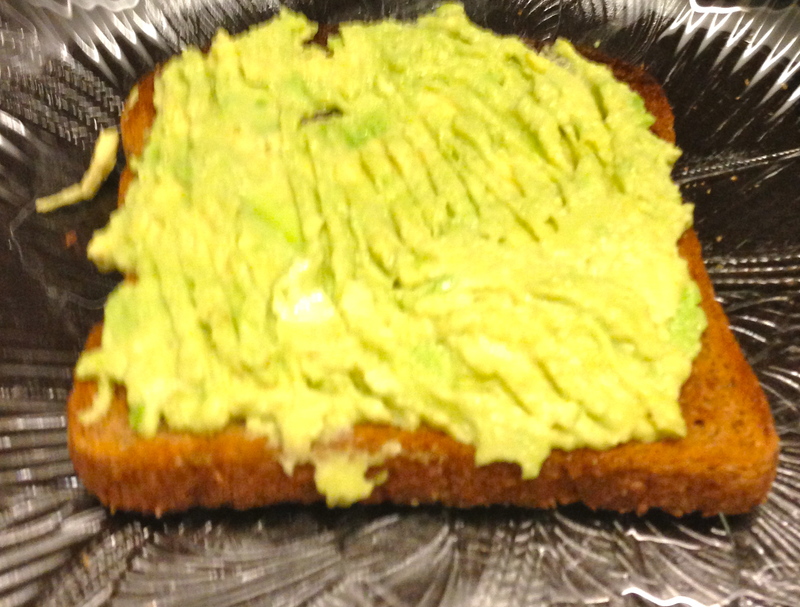 Remove toast from toaster and transfer avocado on top of toast, spreading evenly in a thin layer. 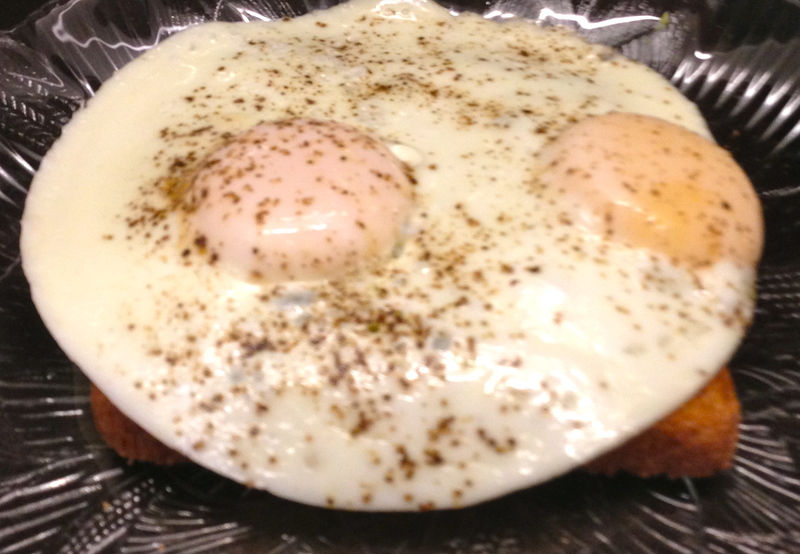 Add egg on top once cooked. Serve hot and enjoy! *Note: This nutritional analysis includes a bread that is not low sodium and also a dash of table salt. Salt content may vary.